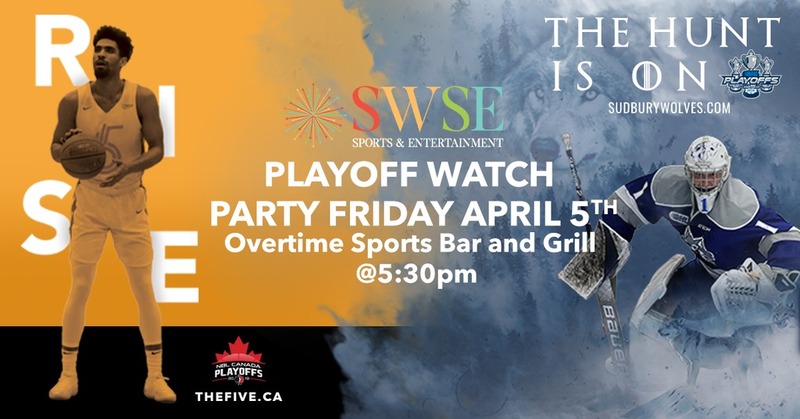 (Greater Sudbury, ON) SW Sports and Entertainment will be hosting a playoff watch party this Friday at Overtime Sports Bar and Grill. The party will begin at 5:30pm with tip-off for the Five’s inaugural playoff game as they visit the St. John’s Edge. The Wolves will then begin their second round hunt at 7:00pm as they visit the Ottawa 67’s.